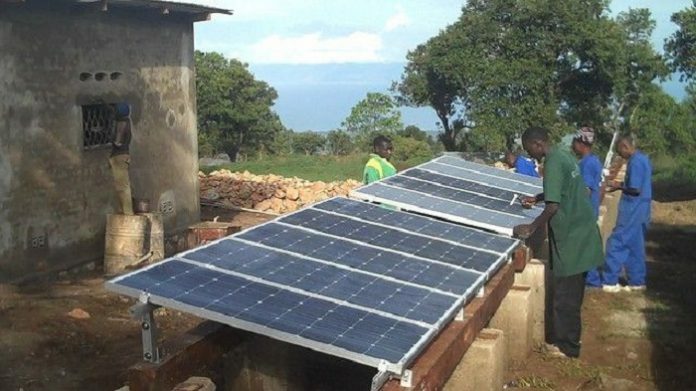 Approximately 11 million people in Burundi have limited access to electricity hence making it look into solar power so as to connect a larger population. The solar initiative is the result of a partnership between Mayor Freddy Mbonimpa and Gigawatt Global, a founding member of United States Power Africa’s Beyond the Grid program. “Bujumbura is very pleased to be working with Gigawatt Global on this important solar street lighting project,” said Mbonimpa. He added that the project will enhance security as well as provide opportunities for economic development to the citizens. Gigawatt Global is now in discussions to scale the solar-powered ‘light islands’ program throughout the region. Michael Fichtenberg, Managing Director of Gigawatt Global Burundi confirmed the reports and said that they intend to expand throughout the capital and to other locations. This is part of their larger program of green electrification in Burundi, with 40 ‘light islands’ planned in the first phase of the program. “Every country in which we develop commercial scale solar fields will receive additional benefits like these ‘light islands’ and rural electrification with mini-grids,” he added. Gigawatt Global provides 100% financing for its projects, it pioneered commercial scale solar power plants in sub-Sahara Africa. The multinational launched the first one in Rwanda in 2014, currently supplying 6% of the country’s generation capacity. Gigawatt Global will complete a 7.5 Mw solar field in the Gitega region of Burundi in the next six months which will supply 15% of the East African country’s generation capacity. Similar projects are currently being developed in 10 African countries, including Liberia and South Sudan, among many others.